Back in August I collected together the various pieces on backpacking and photography that I've posted over the years and said that I'd add a post on my current set-up. Here it is. Firstly I'd like to point out that I'm not suggesting that this is an ideal or best set-up, just that it's one that works for me. I use mirrorless cameras with APS-C sensors because they are small and light, not because I think they produce better pictures than DSLRs with the same size sensors. I use Sony mirrorless cameras because of the only four makes available when I changed from DSLRs I liked the rangefinder style Sony NEX 5 best as I explained in detail here. Back then in 2010 Fujifilm hadn't launched their mirrorless X series, which I would certainly consider if making the change now. As it is I'm happy with my Sony cameras and don't see myself changing systems anytime soon. Of course whether your photographs are ones you're happy with depends on many factors. A good quality camera and lens should mean your pictures are technically okay once you know how to get the best out of them but that's all. Composition and light are key to a good photo. These two cameras go on almost every trip. Both have 24 mp sensors. 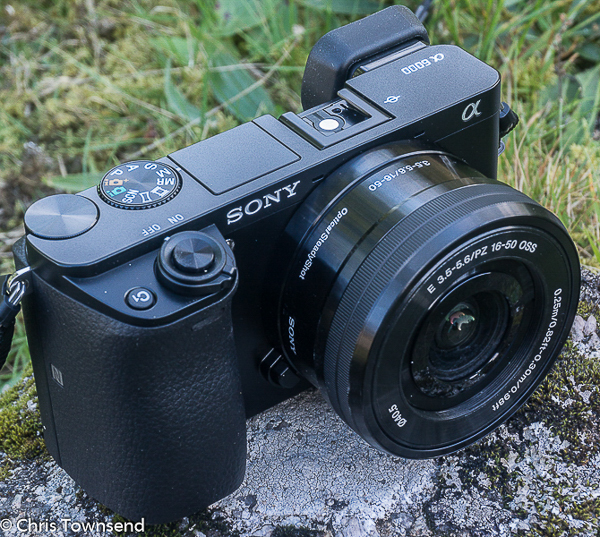 In theory the a6000 produces slightly better images than the NEX 7. In practice I can't see any significant difference when used with the same lens. I normally use manual exposure settings - guided by the histogram rather than the light meter - and can change aperture, speed and ISO without having to delve into menus. Over the years I've acquired seven lenses and a tele conversion lens. I haven't ever carried all these lenses, even on a day hike. Indeed, mostly I carry just the first two, sometimes the third as well, and less often again, the fourth. These are the two lenses I almost always carry. On long trips like the one from Yosemite Valley to Death Valley that I undertook this time last year they are the only lenses I carry. Two bodies and two lenses means I never have to change lenses and risk getting dust on the sensors. The 16-50 is tiny and I can carry it on the a6000 in a pocket. If I only take one camera and lens - which is rare - it's that combination. The 10-18 is a fair bit bigger but I love the wide angle picture opportunities it gives. Both are zoom lenses, which I prefer for fine-tuning composition. When I did an analysis earlier in the year I found that I did use the zooms to the full. And when I've been out with just a fixed focal length prime lens I've found it frustrating as there are always pictures I can't take. My third zoom lens comes along when weight isn't too important - day walks and one or two night backpacking trips when I'm not planning on high mileage. This is always the lens whose usefulness I weigh up before a trip, often feeling reluctant to leave it behind. For a telephoto zoom it's very light but even so it's more to carry. Sometimes photography wins and I take it, sometimes the weight of my load is uppermost in my mind and I leave it behind. 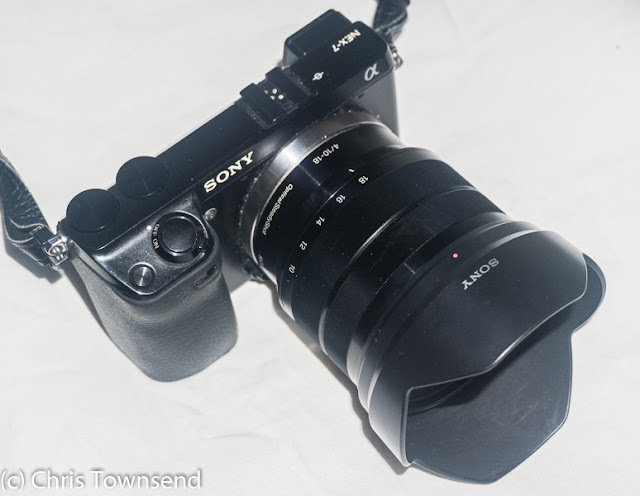 Recently I bought a Sony 1.7X Tele Conversion lens (254 grams) to extend the reach of the 55-210. It works well but won't be coming on any backpacking trips. This is the most-used of the four prime lenses I've managed to acquire. I bought it for its reputation for night photography and I haven't been disappointed. It's sharp and has a fast aperture. It's fully manual with no autofocus and I use it with focus peaking on the a6000, which makes focusing easy. It's a lens I always think I should use more. It usually comes on overnight trips if starry skies are likely but rarely on day trips. This lovely little lens hardly ever gets used. If there's one lens I should dispense with it's this. The 16-50mm zoom covers the same focal length and is far more versatile. As it was inexpensive I'll probably keep it though. Regularly praised for its performance I bought this inexpensive prime lens on the basis of reviews. And it really does produce superb results, especially portraits. Even so, as with the 30mm, I haven't used it much. The only lens not intended for outdoor use I bought this for photographing my old transparencies on a lightbox. It does this pretty well though a longer focal length would make it easier. I have taken it on walks occasionally for photographing details of trees and flowers and more but generally it stays indoors. For the last few years I've carried the a6000 & 16-50mm lens and the NEX 7 & 10-18mm lens in ThinkTank Mirrorless Mover 5 and 10 padded bags (192 and 302 grams). These little bags have rain covers and pockets for memory cards and batteries. 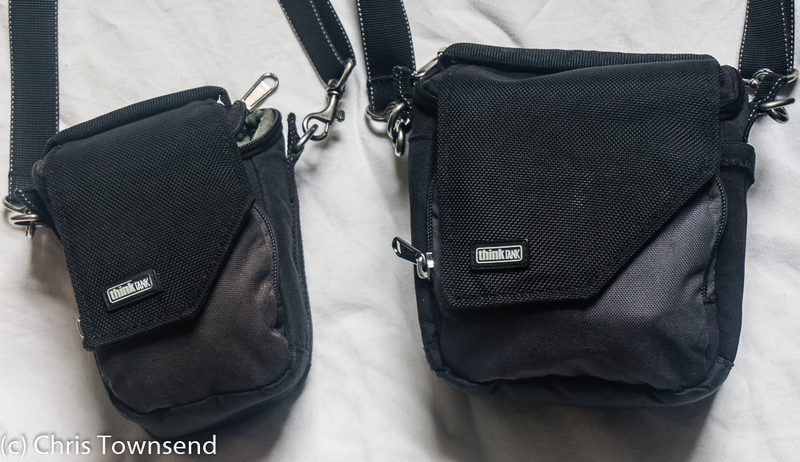 What I find most useful though are the magnetic flap closures, which make accessing the cameras quick and easy, and mean the zips under the flap only need to be used when it's rainy or dusty. So far the cases have proved tough. Spare lenses are carried in Zing! neoprene bags that weigh 80 grams each. I always carry a very light tripod for low light, night, camping shots and self-portraits. As I'm usually alone in the hills taking pictures of camp activities means a tripod is essential. Currently this is a now rather battered Velbon V-Pod (281 grams). I wrote about tripods earlier in the year. I do always have a third camera with me, my smartphone. I use it often too, for the photos that I post on Instagram and occasionally elsewhere. In good light it takes pretty good pictures. I've never explored its potential fully but overall I'm pleased with it for snapshots and selfies. I'm happy with this set-up and feel I should try and get more out of the lenses I have before considering any others. However I am thinking about another body, a Sony a6500, for two reasons. Firstly the NEX 7 is quite battered now and may not last too much longer. Secondly the Samyang and Sigma lenses aren't stabilised, something I have to remember when using them as my other lenses have this very useful feature. The a6000 and NEX 7 aren't stabilised either but the a6500 is and so would extend the usefulness of those three lenses. I'm in no hurry though. How have you found the 16-50mm kit lens? Lots of people complain that is is not good especially at the wide angle end. Do you find it acceptable at that end? Would the 12mm Samyang make a cheaper alternative to the 10-18mm for wide angle shots in general(not just for astrophotos)? That 10-18 is pretty pricy, could you used the 12mm Samyang as your wide angle lens, with the APC sensor and the sharpness of the Samyang one could always crop to zoom. I've found the 16-50 fine. There is a little vignetting at the wide angle end in raw files but Lightroom easily deals with this. At F3.5 the corners are a bit too soft but I very rarely use that aperture. Generally I use F5.6 or F8. 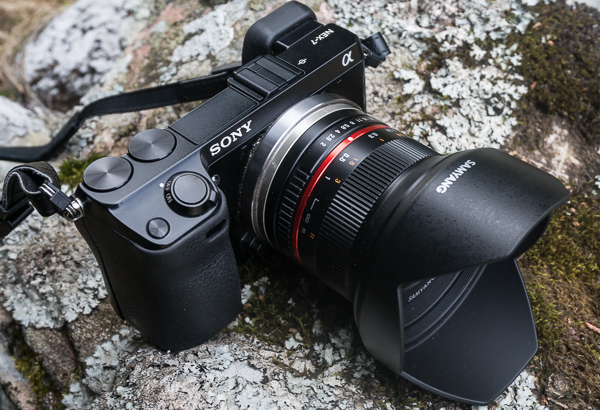 The Samyang 12mm would make a good alternative to the 10-18mm. I haven't tried cropping images but it should be okay. When I bought the 10-18mm it was the only wide angle lens for Sony E cameras. I'd think twice about spending that much money now that the Samyang is available. Of course the Samyang isn't autofocus and isn't stabilised so more care is needed when using it. How fast do you find the focussing and general speed of the A6000? I'm especially thinking about wildlife photography? I find it fast enough for my needs and okay for the little wildlife photography that I do. I haven't used it for photographing fast moving birds or animals though.